(1 March 2019, Halifax/​Kjipuktuk​, NS) As of Friday morning, March 1, members of Unit 1 of the Faculty Association of NSCAD (FUNSCAD), which consists of faculty and librarians, are on strike. Their current Collective Agreement expired on June 30, 2018. FUNSCAD and representatives of the NSCAD Board of Governors began negotiations for a new collective agreement for faculty and librarians in September. After 18 meetings, when an agreement had not yet been reached, the union applied for the assistance of a provincial conciliator. The last of five additional meetings held with the conciliator adjourned February 25 without the two sides coming to agreement. FUNSCAD is the certified bargaining agent for 95 full-time, pro-rated and regular part-time faculty and librarians. Tomorrow (Friday) at 8:30 am we will be out on strike. We will be locked out at that point and will not have access to NSCAD email. If there is anything in your offices that you will need: plants you don’t want to die, books etc., get those things by tonight. Regarding the beginning of the strike tomorrow, There will be a rally at noon. We need all Unit I members to participate tomorrow. Please either plan to come in the morning and stay for the rally or come for the rally and stay for the afternoon. Picketing will wrap up around 4 PM tomorrow. Last night you received a memo from the administration containing selected details of an offer that was made on Monday, February 25. As we have previously communicated, bargaining in public rather than at the table is counterproductive to reaching an agreement. We have asked the employer to return to the table prepared to negotiate a fair deal. The offer that was described to you is only part of an global package that must be accepted in its entirety, and only comes half-way toward making up for past losses. As we discussed at the membership meeting on February 28, that offer falls far short of the priorities set by the membership and contains unacceptable demands for concessions. FUNSCAD is committed to negotiating a fair agreement that provides equitable compensation and fair working conditions for all members. The NSCAD administration recently sent communications to FUNSCAD members regarding the collective bargaining process. These communications provided extensive details of the employer’s proposals and selected union proposals. We are disappointed that the administration has chosen to bargain in public. Releasing details of specific proposals is counterproductive to achieving a fair and equitable settlement at the bargaining table. FUNSCAD has advanced modest and affordable proposals to address the widening gap between compensation, job security, equity, and working conditions at NSCAD and those at other universities. FUNSCAD has not claimed that NSCAD has a $3.1 million surplus. 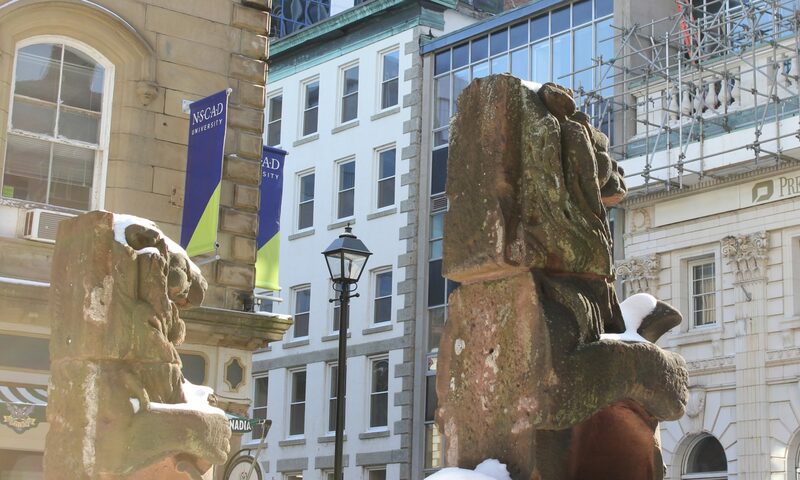 The administration’s own communications admit that NSCAD has posted a surplus and that the Board has allocated it to priorities other than addressing the working conditions of the academic staff. FUNSCAD members have accepted salary increases well below inflation, settlements at all other Nova Scotia universities, and other Canadian universities of Art and Design. The employer proposal is well below cost of living and widens the gap between academic staff at NSCAD and at other Nova Scotia universities. This would hit the lowest paid and most precariously employed members of our community the hardest. FUNSCAD has proposed increases that would only narrow the growing gap between our salaries and those in the rest of the province, and has indicated that increases for contract academic staff are an important priority. The growth of precarious work at the expense of permanent, full-time positions is a significant threat to postsecondary education. Academic freedom is threatened when academics are afraid that taking risks means their contracts will not be renewed. Self-governance is challenged when most staff work part time and cannot fully participate. Quality of education suffers when academic staff are overworked, poorly paid, lack job security, and are denied support for their scholarly and creative activities. FUNSCAD’s collective agreement has protected the full-time complement for over 30 years. Many Canadian universities, including the Alberta College of Art and Design and the Ontario College of Art and Design, restrict the replacement of full-time, tenure-stream positions with contract academic staff. FUNSCAD is committed to defending our complement protections. FUNSCAD has proposed modest improvements to paid leaves for members with parenting and caregiver responsibilities. The majority of these leaves are taken by women. FUNSCAD has also proposed transparent tenure criteria for Indigenous scholarship. The current teaching loads for NSCAD faculty are the highest in the province. High teaching loads compromise both our ability to engage in research and the quality of our teaching. Lower teaching loads would permit a reasonable balance between teaching and scholarship and allow instructors to spend more time developing courses, providing feedback, and working with individual students. FUNSCAD is committed to addressing the problem of excessive teaching loads. Currently, regular-part time members (RPTs), many of whom have taught at NSCAD for many years, don’t know if they are teaching until 6 weeks before the beginning of the semester. This isn’t fair. FUNSCAD is seeking extended contracts providing a minimum course load to long-serving RPTs. The proposed contracts require no financial commitment from NSCAD’s administration. FUNSCAD has indicated that within this mandate, it is open to exploring different ways to meet our members’ needs. The details provided in the Employer’s communiques were from the proposals exchanged on the last day of conciliation, and are what led to the impasse. While we hope to avert a strike, the only way this can happen is for the employer to return to the bargaining table prepared to work toward a fair and equitable settlement. I am writing to you about the recent memo from the University President. The memo is an unfortunate example of bargaining in public and is counter productive to reaching an agreement. The memo contains a number of misleading statements and misrepresentations of the Union’s bargaining proposals. At the general meeting scheduled for tomorrow evening at 6 pm we will address these misrepresentations. After the meeting we will follow up with a written communication that does the same.